One of my favourite times of year is when the cherry blossoms are at their peak. It feels like the mark of spring. 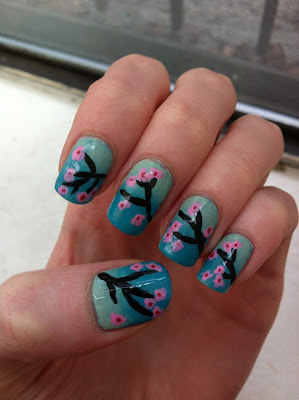 To celebrate the Sakura Festival this past weekend, I painted my nails with cherry blossom branches. How to | For the background, I did a gradient with OPI Can't Find my Czechbook and Zoya Neely. 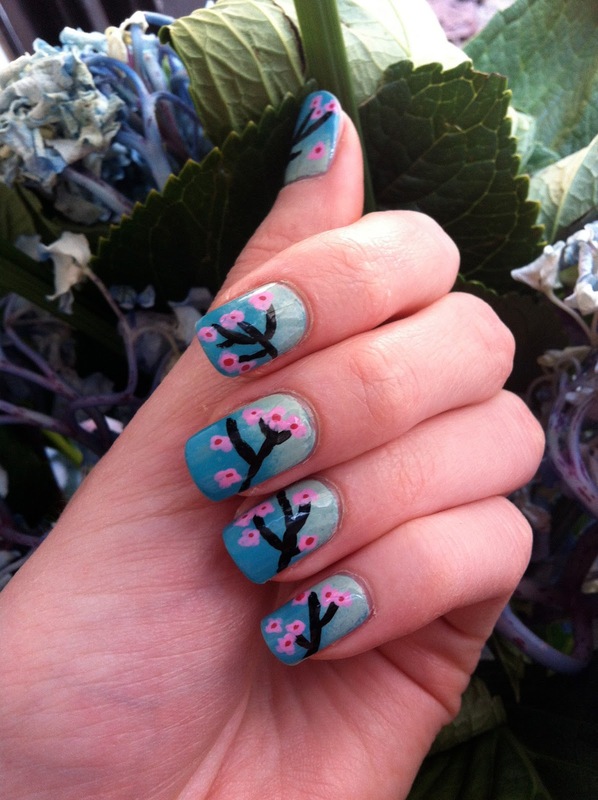 Using a small brush, I painted on the branches with Wet n Wild Black Creme. The flowers were made with Butter London Fruit Machine and American Apparel Rouge. 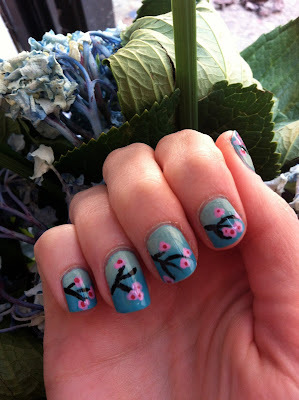 Hope you enjoyed this springtime nail art!